Japanese automaker Nissan Motor has begun international arbitration against India to seek more than $770 million in a dispute over unpaid state incentives, according to a person familiar with the matter and documents reviewed by Reuters. In a legal notice sent to Prime Minister Narendra Modi last year, Nissan sought payment of incentives due from the Tamil Nadu government as part of a 2008 agreement to set up a car manufacturing plant in the southern state. According to the notice, Nissan said repeated requests to state officials for the payment, due in 2015, were overlooked and even a plea by the company’s chairman, Carlos Ghosn, to Modi in March of last year seeking federal assistance did not yield any results. The notice, sent by Nissan’s lawyers in July 2016, was followed by more than a dozen meetings between federal and state officials and Nissan executives, said the person familiar with the matter, who did not want to be named as it is not public. The federal officials, from several ministries, assured Nissan the payment would be made, and it should not bring a legal case. But, in August, Nissan gave India an ultimatum to appoint an arbitrator, the person said, adding the first arbitration hearing will be in mid-December. A Nissan spokesman said the company was “committed to working with the government of India toward a resolution,” but did not elaborate. A senior Tamil Nadu state official said the government hoped to resolve the dispute without having to go to international arbitration. “There is no discrepancy with regard to the amount due, and we are trying hard to resolve the issue,” the official told Reuters. Modi’s office did not respond to an email seeking comment. The case, brought against India for alleged violations of its Comprehensive Economic Partnership Agreement with Japan, is the latest in a string of international arbitration proceedings against the country by investors concerned about issues ranging from retrospective taxation to payments disputes. There are over 20 cases pending against India, among the highest against any single nation. The dispute between Nissan and the Tamil Nadu government also shows the challenges companies face in India and how local disputes could undermine the Modi government’s efforts to attract foreign investment and create new jobs. Several automakers, including Ford and Hyundai Motor, have set up production hubs in Tamil Nadu, giving state capital Chennai the nickname; the ‘Detroit of South Asia’. In 2008, when Nissan and its global alliance partner, French carmaker Renault, agreed to invest in setting up a car plant in Chennai, the state government promised several incentives including some tax refunds. 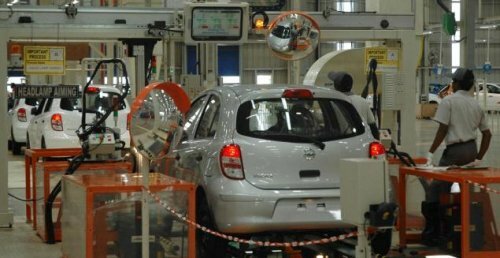 Over seven years, Nissan and Renault invested 61 billion rupees ($946 million) and set up a plant with annual production capacity of 480,000 vehicles, which entitled them to receive the incentives in 2015, according to the legal notice. In that notice, Nissan’s lawyers said the state government’s decision to not pay was “arbitrary”, and Nissan has “incurred significant and increasing losses”. Nissan did not specify the business impact in the 8-page notice, but said in 2008 that state incentives were critical to the project’s viability and sustainability. The carmaker, in its notice, is claiming 29 billion rupees in unpaid incentives and 21 billion rupees in damages, plus interest and other costs. Nissan, which has less than a 2 percent share of India’s passenger car market, builds and sells the Micra hatchback, Sunny sedan and Terrano sport-utility vehicle. It also sells low-cost cars under its Datsun brand. The company spokesman said Nissan has created more than 40,000 direct and indirect jobs in India.